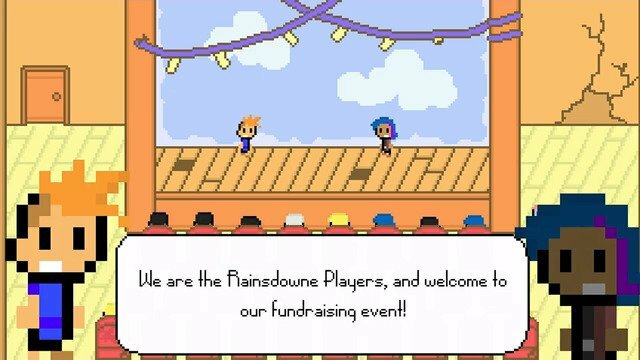 The Rainsdowne Players: Second Act is a neat rhythm-puzzle RPG about a beat down theater with an unruly brutal crowd. The theater players will stop at nothing to put on a good show. Even if it means getting hit in the face with a bottle. After trying out The Rainsdowne Players: Opening Night I’m very happy to feature it as my weekly Kick Pick. In the following video I didn’t play out the full estimated half hour of the game so you can try it out for yourself. To describe this game in short, I’d say its a timed dodging game mixed with strong RPG elements. Its a clever indie game that I think if most people give a chance they’ll find it quite enjoyable. 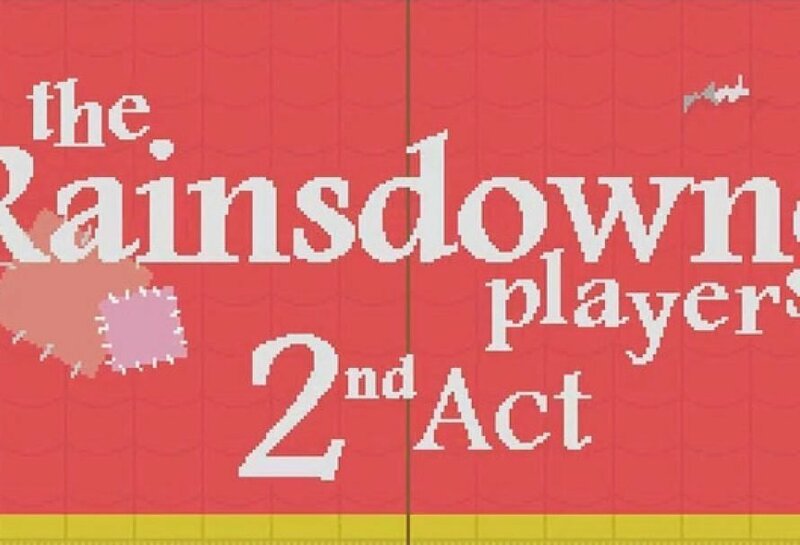 You play as The Rainsdowne Players. A unique theater troupe working out of a run down theater. Though your theater is busted with a leaky roof, and you have the most unappreciative audience ever, The Show Must Go On! As you perform your wordless show the audience likes to keep you on your toes by launching odd projectiles. The concept sounds very simple, but dodging the oncoming objects can prove to be quite challenging. I found the dodging mechanics to be really cool for something so simple. In Opening night you get to explore the theater and mingle with the attendees in between performances. As you converse with the theater goers you collect Inspiration Cards that alter the way your show plays out. The RPG element of the game accents the vicious projectile dodging nicely. The audience is only throwing the bottles to help inspire you. They seem pretty nice when their not trying to bust your head open with trash. 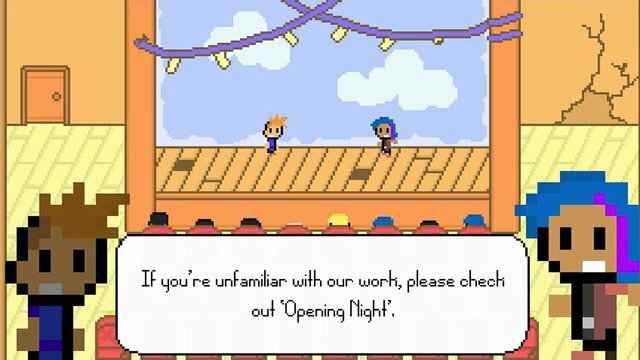 I think Opening Night is a great game a wide variety of people will enjoy. Since its free I recommend you check it out for yourself. I give it a Very Positive review. Its a cute RPG game with good mechanics. 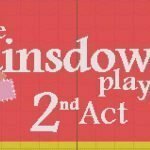 You can find more details and back The Rainsdowne Players: Second Act on Kickstarter Here.